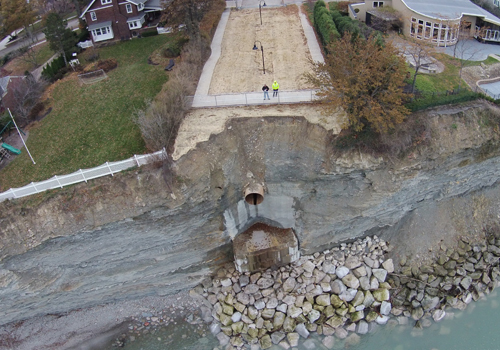 A storm sewer outlet and manhole embedded into a 50-foot-high bluff along the shore of Lake Erie, in Lakewood, Ohio, had become destabilized from long-term weathering and direct wave action. 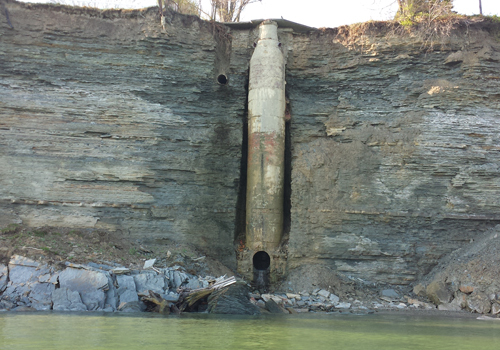 The outfall structure had become exposed and collapsed. The City contracted with KS Associates to provide engineering services to develop a solution to the problem. 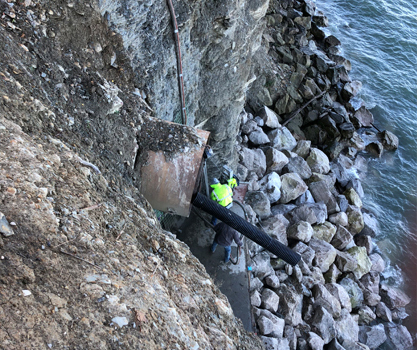 KS Associates performed surveying and mapped the face of the bluff, the top of the bluff, and off-shore areas of the project site. 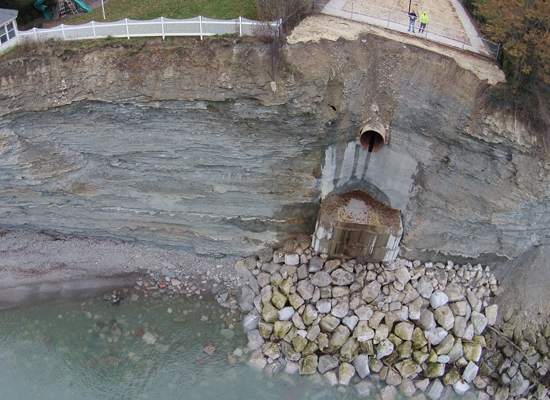 KS Associates then designed several alternatives and cost estimates for stabilizing the bluff and constructing a new outfall structure. 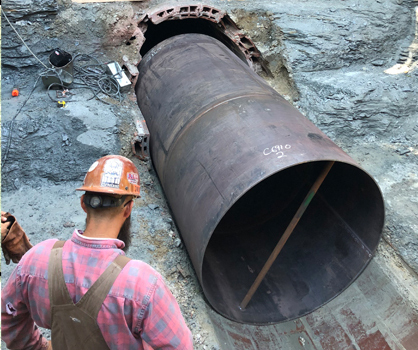 The City chose to construct a new manhole farther on shore and an armor stone revetment to reduce erosion. 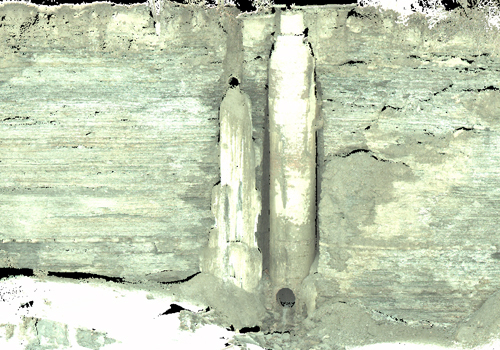 KS Associates’ scope of work also included the design of repairs to a diffuser pipe extending approximately 1,650 feet into Lake Erie, along the lake bed. 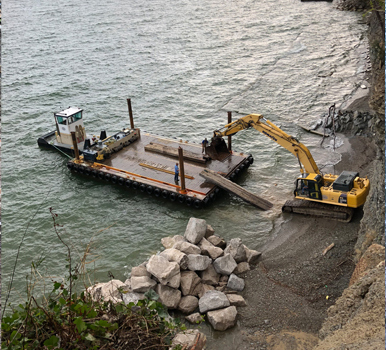 Our Coastal Engineering Team developed the final design and prepared 100% plans and specifications, prepared the necessary U.S. Army Corps of Engineers and Ohio Department of Natural Resources permit applications, and assisted the City with obtaining competitive bids for construction. Construction was complete in 2018.